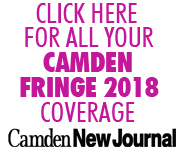 Applications for the 2019 Camden Fringe were open from from the 1st of January to the 31st of March. Late application is still possible although you should note that most venues are now finalising their programmes, so available dates and times are limited. To guarantee your show will appear in the printed brochure you must confirm your slot, pay your registration fee and submit your complete marketing details to us by the 13th of May. To take part, please see our seven step guide to bringing a show to the Camden Fringe and our application form below. We've tried to keep this short and simple, but there is a lot of information to convey. It's worth bookmarking and referring back to this guide during the run-up to the festival, as it contains the answers to the questions we are asked most frequently. The first thing you need to do is find a venue to perform in. Our application form can be found below. You use the Camden Fringe application form to apply directly to venues you are interested in, as each space puts together its own programme of events. You must complete an application form for each venue you wish to apply to. Please read the information relating to each venue carefully before you fill in the online form and submit your application to them. Not every venue will be suitable for your show. Do pay attention to the size of performance space, the equipment and the style of show that the venue specialises in – it is a waste of your time and theirs to apply to a venue that isn't suitable. Each venue sets their own deals and hire rates. If these aren't made clearin the venue info on our venues page, contact them directly to check on the costs involved in performing there, so you aren't taken by surprise later on. Applications open on 1st January and close on the 31st March 2019. Late applications will be accepted, but you may find that all the slots are filled in your venues of choice and you could miss out on being included in the printed brochure. You can also seek out your own space to perform in within the borough of Camden, that doesn't appear on our list. There are many function rooms, empty shops and outdoor spaces that can be utilized for performances. If you want to find out the status of your application please contact the venue(s) directly. All contact details can be found on the venues page. The venue will charge you either a straight hire fee, a box office split or a guarantee against a split (this is separate from the Camden Fringe participation fee which is due in May.) The cost will be dependent upon the venue you choose, the time of day you perform and the length of your run. Make sure you understand the deal you have been offered. In case of confusion, ASK! You may be fortunate enough to have offers from more than one venue, so now is the time to choose and negotiate. If you accept a slot from one venue but have applied to others, please make sure you let the other venues know that you confirmed an alternative space. PLEASE NOTE we do not encourage the same show to be performed at more than one venue during the course of the Camden Fringe. This is not acceptable to most venue managers and our registration system is not designed for multiple performances venues, so it would result in you having to pay a registration fee for each venue. We do our best to help find a suitable performance slot for everyone who wants to perform at the Camden Fringe. If you apply to a few of the venues and none of them bite at the application you've sent in, why not try and find your own performance space in Camden? We can give you a list of places its worth trying. At this stage it is also worth thinking about what you'd like to charge for your tickets and negotiate that with your venue. There is a minimum charge of £5 per ticket (we don't do free shows) and a cap of £15 per ticket. When the Camden Fringe started we charged £7.50 per ticket, which we think is a fair price for a Fringe show and we advise most shows stay around this mark. Think of what price is appropriate for your show (between £5 and £15) - some shows are obviously more expensive to stage and can charge more for tickets. For example a 45 minute stand-up show should cost less than a 1 hour musical with a cast of 10. You may offer concessionary rates for students, over-65s, and unwaged customers. It's best to stick to one ticket price (and concessionary rate) for all shows, to avoid confusion. It's also best to start off with a reasonable price and advertise that from the off, than to offer last minute discounts later on. If you have arranged a performance space that doesn't appear on our list please email us to let us know when it's all confirmed. £99 – Standard For inclusion in Camden Fringe press and promotion, on the website and a standard (1/6 of a page) listing and image in our printed brochure. £165 – Enhanced For inclusion in Camden Fringe press and promotion, on the website and a double sized (1/3 of a page) listing and image in our printed brochure. £250 – Half Page For inclusion in Camden Fringe press and promotion, on the website and a half page listing and image in our printed brochure. £440 – Full Page Listing For inclusion in Camden Fringe press and promotion, on the website and a full page listing with one large image in our printed brochure. Show listings will be in our house style and include your title, company name, blurb, image, dates, times, prices and venue you are performing in. The fee includes your show having a page on the Camden Fringe website with an image, show details and links to online booking. In addition details of your show will be sent out in press listings (though we cannot guarantee your show will get listed in the press). You will also be provided with marketing guides and a press list. We will sell an allocation of your tickets via our website from June 1st. The Camden Fringe takes a cut of 5% of all tickets sold through our box office. Once you have paid your registration fee you'll be able to access our guides to promoting your show and completing the registration process in the most effective way possible, so it's worth paying up early and giving yourself plenty of time to digest the information and to complete step 4 in the most effective way possible. With the above 4 steps it may seem like there has already been a lot to do, but here comes the part when you really need to knuckle down. Not only will you be putting together your show and rehearsing hard, you will also need to crack on with your press and marketing campaign. Being part of the Camden Fringe doesn't automatically sell you tickets. We can't guarantee you an audience for your show - it's up to you to market and promote it, as you know better than anyone else what it is that makes your show brilliant and unique. There will be hundreds of other shows taking place in the Camden Fringe and plenty for audiences to choose from, so don't rest on your laurels and assume that anyone will choose to watch yours without encouragement. There will be plenty of advice available on the best way to do this, but there aren't any sneaky shortcuts to success: you will have to work hard! The full programme of events and tickets for all shows will go live online on the 1st of June. We'll provide you will a personal log-in so you can monitor your own ticket sales and will publish and distribute the Camden Fringe brochure in July. It's show time! With all the toil you've put in up to this point you will hopefully have an adoring public to wow with your performances. We will make available a press list, so you can try and get some online reviews for your piece. The Camden Fringe will not give away any of your tickets – we are in the business of selling them! If you wish to book any guest tickets or press comps you will need to do this through your venue box office. Enjoy this stage of the festival, as it's why you got involved in the first place. And try and see some other shows that are taking part in the Camden Fringe to make to most of the experience. When the festival is all over you will paid your box office takings. Where they come from will vary depending on your venue. Some venues we pass on your online takings to so they can pass them on you. Others (and definitely if you ran your own door for your performances) we will settle with you directly. Remember that the Camden Fringe takes a 5% cut of any tickets sold through our website. After the Camden Fringe has finished it will be confirmed with you how much you are owed.You will be expected to provide an invoice and your bank details so your takings can be transferred over to you. There will be no refund of your registration fee if you cancel your show at any time. If you cancel your performances and have already sold tickets online, you will be invoiced by the Camden Fringe for any customer booking fees that are refunded. Your contract and deal for performing is between you and your chosen venue and the Camden Fringe will not be liable for any failure of either party to fulfil their contractual obligations. Payment of your box office revenue through the Camden Fringe website will be made to your venue and they will be responsible for passing this on to you, where applicable. The Camden Fringe takes no responsibility for any errors in the details submitted by companies for publication in the brochure. We do our best to proof-read and double-check everything that is sent to us, but ultimately it is your responsibility to give us the correct information in the first instance. The Camden Fringe is not responsible for the quality of images submitted by participants and has the right to refuse an image that is of poor quality, not to the required specifications or deemed to be offensive. 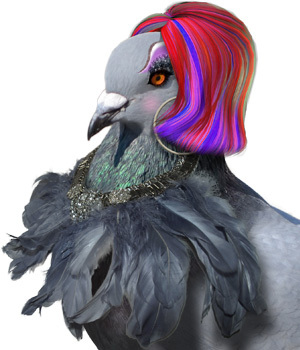 Failure to submit a quality image by the deadline will result a default image of a pigeon being used for listings and in the printed brochure. If you are thinking about coming from overseas to perform at the Camden Fringe then you have a few extra things to consider and research. The first thing you need to think about is whether it is worth coming to the UK to perform. Without a large UK following for your company, or well-known piece of theatre, it is extremely difficult to find an audience for your show. You'll have to work very hard on promoting the show and trying to get press coverage. Flyering and putting up posters isn't easy if you aren't in the same country. There are obviously additional costs in travelling: accommodation, flights and visas as well as our registration fee and venue costs. Applying for and gaining the correct permissions are the duty of the company and not of the Camden Fringe or any of the participating venues. For specific individual advice you should contact your local UK embassy or consulate or an immigration lawyer. This information is for guidance only, we cannot guarantee any group or individual will gain entry to the UK and we will not be liable for any issues that arise during the immigration process. The Camden Fringe and the venues are not liable for any costs or inconvenience caused by delayed entry or unsuccessful entry into the UK and we will not reimburse any fees for cancellations as a result of immigration issues.